Some important changes in California OHV laws. Post is a letter from the agency. My name is Mark Hada. I hope I have reached the right person for this discussion. I am the Visitor Services Manager for the Off-Highway Motor Vehicle Recreation (OHMVR) Division Headquarters. I am hoping that you will post the attached bulletin someplace in the OHV section of your website or create a link to ours with the news of change in the California Non-resident permit usage. As one of our neighboring states that has a large population of OHV enthusiasts, I wanted to let you know about a change in our Non-resident permit program. In the past, law enforcement agencies in California did not enforce California Air Resources Board (CARB) clean air standards on out of state OHV recreationists. Like the residents of California, the out of state residents who come to use OHV areas in California must now meet the established clean air standards or restrict riding to the Red Sticker riding season. Those who purchase a Non-resident permit to recreate in California must check to see that they are riding within the correct riding season as established by CARB. This primarily impacts your Class III ATVs, but there may be some Class I ATVs that we would consider Red Sticker as well. There is a link to the riding season by OHV area on the attached bulletin. 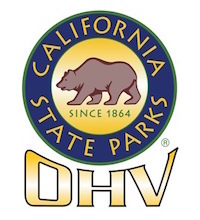 As many Oregon OHV enthusiasts come to California to enjoy different OHV opportunities (and vice versa), the OHMVR Division would like to get the word out to as many people as possible. We are hoping to ease into this as this is a change from the previous practice, which was in effect for many years. I would be happy to answer any question you have. Please contact me at one of the numbers below or email me back at this address. Thanks!